The ultimate guide to Wengen ski holidays in 2019 & 2020. Wengen lies on a sunny shelf beneath some of the most recognisable mountains in the Alps - the north face of the Eiger, the Jungfrau and the Schilthorn. The fantastic skiing isn’t the only reason this picturesque resort has seen returning visitors (James Bond included) for centuries: excellent restaurants, exciting excursions, abundant activities and fascinating history are also massive draws. Nestled at the foot of the majestic Jungfrau and looking out over the Eiger and Monch massive, Wengen is a truly spectacular location for a ski holiday. 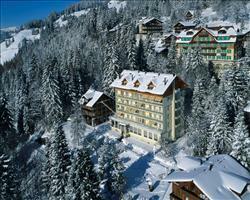 It’s linked to the resorts of Grindelwald, Mürren and Lauterbrunnen, forming the large Jungfrau ski area of over 200km. The famous Jungfrau region is one of the oldest and most popular holiday destinations in Switzerland and the sunny resort has long been a favourite with Brits. It dates back to around 1911, after tourists convinced the resort to keep their train running in winter so that they didn’t have walk up the slopes. The pretty little town is car-free, helping preserve its old-world mountain feel and also making it a safe location for children. Those driving over can park in Lauterbrunnen and take the train up. From the town, the train continues up the mountain, taking you to Kleine Scheidegg at 2061m where you can ski down on a wonderful assortment of intermediate and easy runs. If you wish you can continue even further and take the legendary train journey up to the magnificent summit of the Jungfraujoch at a whopping 3454m. The steep funicular snakes through tunnels and across the north face of the Eiger (the setting of some dramatic mountaineering feats), finally arriving at the highest train station in Europe. Aside from the unspoilt nature of the village, the real draw here is the particularly stunning ski area, which has panoramic views of some of the most iconic mountains in the world. Along with the Eiger and the Jungfrau, there is also the Schilthorn mountain, where James Bond was famously chased down in On Her Majesty's Secret Service. The resort’s relaxed and peaceful vibe livens up over New Years and during The Lauberhorn Downhill Ski World Cup in January, but remains low-key throughout the season. Visitors will find some cosy and friendly ‘Stublis’ for a drink in the evening and there’s the local cinema which regularly screens films in English. View our detailed Wengen snow forecast or snow report and see all live webcams, piste maps, road and travel maps and lift pass prices. For a picture of historic snow conditions see the snow depths month by month with our Wengen snow history. The railway still remains the key mode of transport between the ski areas – use it to get over to Grindelwald, Mürren, or Kleine Scheidegg at the base of the Eiger. However, it’s still possible to ski without catching the train thanks to the modern Männlichenbahn gondola. Total beginners should probably start with the Wengiboden nursery slope in the village if there is enough snow, but just remember it’s best in the mornings before the sun hits it. There’s also the Figeller children’s area, where the Swiss Ski School run lessons, with 4 magic carpets and 3 draglifts. There are more nursery slopes up on Wengernalp (a short train ride away). Once beginners have mastered the basics it’s a good idea to catch the train up to Kleine Scheidegg where you’ll be greeted with breath-taking views and some gentle, well groomed blue runs (#22 winds all the way down to Grindelwald village). Boarders will appreciate how wide the runs in this area are, especially the Mettlen run. 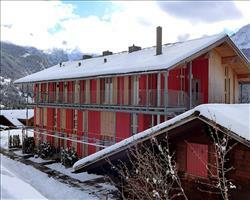 The resort was also one of the first in the Alps to introduce ‘Slow Slopes’ which are limited to 30km/h. These are perfect for nervous riders to gain confidence and for families to ski together in a safe and relaxed environment. Intermediates can cruise on the pleasant slopes over at Grindelwald, while up on Männlichen there’s a collection of chairlifts and gondolas with some nice blue and red runs below. The pleasant blue run ‘Männlichen’, number 2 on the piste map, ends up at the Lager Bar, a good spot for a mountain-side drink. The more experienced mustn’t miss the famous Laberhorn slope where the World Cup is held. You don’t need to be a pro to take it on; the hardest thing about it is the length – 4.5km! There’s also the formidable Black Rock run starting at the base of the Eiger, and the near vertical 'Kanonenrohr' run in Mürren. To practise your tricks, visit the Funpark "Im Rad" over at Mürren, which has some decent kickers and a half-pipe when the snow is good. Wengen certainly isn’t one of those mega party resorts you get in some parts of the Alps but there are some fun places for an après-ski tipple - head to Rocks Bar for televised sports events or go dancing at the Blue Monkey. 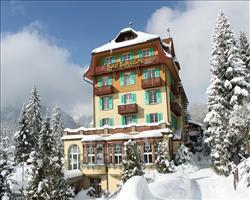 There are some great restaurants in Wengen, many of which are based in hotels (but open to the public). For fine dining, Chez Meyer's Le Grand restaurant at the Hotel Regina is a must – its outstanding service and French cuisine has been granted 15/20 Gault Millau points (similar to Michelin stars). Then there are the stunning mountain top restaurants on the Jungfraujoch (a UNESCO World Heritage site) and the Schilthorn. The 360°-Restaurant Piz Gloria on the Schilthorn is the world’s first solar powered revolving mountain restaurant and featured in the 1969 James Bond film, On Her Majesty's Secret Service. 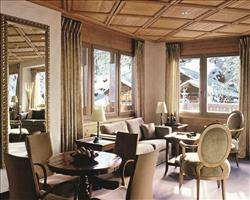 Enjoy a “Martini, shaken not stirred” at 2970m with a panoramic view of over 200 alpine peaks. If you’re keen for even more Bond nostalgia, why not take a drive along the Furka Pass, where Sean Connery chases Tilly Masterson in Goldfinger. Families will enjoy wandering the pedestrian streets in the snow and doing a spot of shopping. You can content hungry tummies with some cake at the cosy Cafe Gruebi or if you need an alternative to skiing then visit the village ice rink. There’s also a local cinema with recent English language releases, or you might want to pamper yourself at the public spa at Hotel Victoria Lauberhorn. The resort is a popular choice with non-skiers thanks to the beautiful scenery, which is worth coming for alone - take a walk along one of the 110 km of winter footpaths, or even better on the 20km of snowshoeing trails. Children and adults alike will love the resort’s toboggan runs. 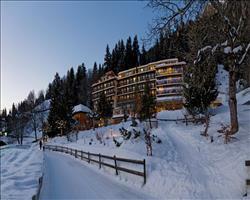 When is the best time to ski Wengen? 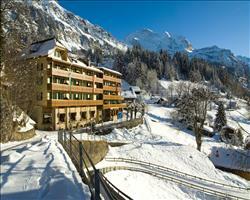 Wengen has a lovely south-west facing aspect, meaning it catches the sun well throughout the season. Because of the altitude, Wengen is less snow sure in the early months of the season, but you can take the train up to Kleine Scheidegg and higher climes, where it’s more likely there is snow. The snow coverage is usually pretty good through to about April – lots of visitors appreciate the warmer weather later on in the season. Sometimes the run down to the village can get a little slushy in the afternoons on warm days, but you can avoid this by skiing early and taking the train back down in the afternoons. There are lots of snow cannons as well to supplement the snow coverage – over 50% slopes can be prepared with artificial snow. Thanks to the addition of the Männlichenbahn gondola, the queues for the train have gone down, and it’s rare that you have to wait a long time for a lift, even in peak season. Wengen has long held a reputation as a family-friendly holiday destination. The welcoming locals and low-key village atmosphere makes it a really fitting place for families. There’s a slower, gentler pace of life round here, as the whole resort is pedestrianized and the main mode of transport is via the funicular railways winding up the mountain. Our hotels in Wengen are super for families, as these usually have all the facilities you could want (and more - some have a swimming pool, a playroom, or their own childcare services). Hotel Silberhorn is opposite the train station, which makes it super convenient for getting up the mountain as the train is the main mode of transport. 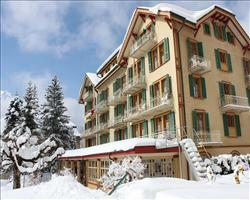 The Hotel Sunstar is also in an excellent position, close to the nursery slopes and the Mannlichen cable car. Some of our hotels come with full or half board dining options, in case you’d like to eat in the hotel’s restaurant - have a look on the individual hotel pages for more information. Children will love the Figeller children’s area in the village, where the Swiss Ski School run lessons, with 4 magic carpets and 3 draglifts. There’s also the Playhouse, an English crèche for children from 1 month to 8 years old, which you can book through the tourist information. Older children will enjoy skiing on the easy blue and red runs around the resort, which have beautiful panoramic views of the surrounding mountains and the Lauterbrunnen valley. The Jungfrau ski area was also one of the first to introduce a speed limit on some of its pistes; “Slow Slopes” are limited to 30 km/h and provide a safe area for kiddies (and adults!) to learn the ropes. There are lots of fun activities off the slopes too, why not take a trip to the ice rink or go tobogganing on one of the many runs around the resort (some are floodlit at night). The local cinema screens English language films and there are cosy pubs and bars if the grown-ups fancy a nightcap. A trip up to the top of the Schilthorn (2970 metres) to visit James Bond territory and check out helicopters and other Bond paraphernalia is also a must. 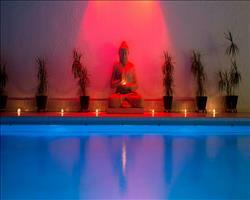 To book one of our holidays, call the number above and speak to one of our friendly team. You can choose from package deals with flights, accommodation and transfers in one or self-drive holidays with inclusive channel crossings. Alternatively, you can just book your accommodation on its own. 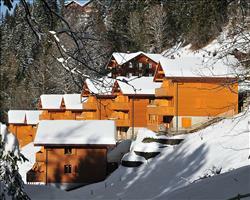 Organising a group ski holiday to Wengen? Check out our suggested accommodation options below! It’s well worth considering booking a hotel for group holidays as it means any stragglers may be able to join the group later, should they decide they want to come after all. There are so many great properties in Wengen - we love the fantastic location of Hotel Sunstar, which is quite literally smack in the middle of town, opposite the main gondola. There’s also the stunning Hotel Regina, with panoramic views of the Lauterbrunnen valley - conditions permitting, you can ski directly to the hotel from the slopes. 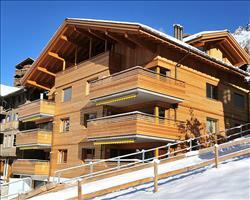 Wengen is a fabulous place for a group ski holiday because it’s well suited to everybody. Skiers and boarders alike will enjoy the gentle blue and red runs with their incredible views of the Eiger and Monch massif. Don’t fret if you’ve got non-skiers in your group, they’ll be well catered for with all the great activities on offer – including over 100 km of footpaths to explore, the amazing UNESCO World Heritage site at the Jungfraujoch (which everyone should visit at least once) and the world’s first rotating mountain-top restaurant on the Schildhorn (which featured in the Bond film On Her Majesty's Secret Service). Have a look at our individual accommodation pages to read more about each property: you can check the location and see what kind of facilities are on offer. Our luxury hotels come with loads of great features including swimming pools, spas, free WiFi, gyms, childcare… some even have their own Turkish baths! You can afford to go up-market this season too, we’ve got some really exceptional deals on some of the best hotels in town. To see more of our discounts and special deals, scroll down and have a look at the hotels we’ve got on offer, or give us a call and we can advise you over the phone. "Mindblowing - a special place"
The landscape is mindblowing - we had two days of sunshine when the scenery was absolutely stunning and it was still quite spectacular even when there was low cloud, it really was rather special. We really liked Wengen and would definitely go back. It’s nice being basically with no vehicles and is reasonably easy to get to. We took our daughter with us and it’s not a young person resort particularly, there were a few lively bars but no discotheques or that kind of scene. The clientele in general are a little older so it’s probably better for an older family or adult couple as we didn’t see many youngsters or older teens around. Once you go up, the little railway to Lauterbrunnen runs you all around to the top. We went out with a guide and some of the runs are absolutely fabulous. It can cater pretty much for everyone: for intermediates and upwards it’s brilliant with some very challenging blacks and some very good reds down to intermediate and beginner stuff. It’s more difficult to ski back to the village if you’re a complete beginner as there’s a long traverse at the top that takes ages because you have to pull yourself along for a while, which can be a bit exhausting. You can always get the lift down though, and at the top of the first cable car there are some suitable beginner runs. On the other side, you can go down the rail to Lauterbrunnen and up the other side to the place where they filmed James Bond. The weather wasn’t very good on the day we went but if it was clear the views would have been incredible and there are a couple of really good red runs on that side. 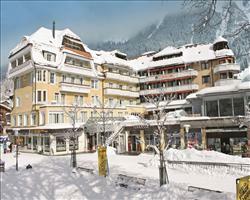 "Spectacular scenery, lots of skiing"
We like Wengen and have skied in the area several times. There’s a big range of skiing – in a fortnight you would cover quite a lot of the area but for one week it’s excellent. You can go up the Wengen side and ski right under the north face of the Eiger and have that, the Jungfrau and the Mönch as the three big mountains that make up your backdrop – spectacular. On the Murren side, you can go right up to the revolving mountain restaurant where they filmed James Bond. We haven’t eaten there as it’s quite expensive as you can imagine, but it’s worth going up there for the views alone. If you want to ski back down it’s by a tricky black, which if it’s icy or moguly at the top is quite difficult (and it’s a long trail which you have to commit to skiing all the way down!). The other option is to get the cable car down to the middle station where there are some easier runs to take back to the bottom. "Wengen Ski and Getting There"
Wengen is expensive £ to Swiss FF that's a fact but the lift pass is about the same price as trip to a Big French Resort. Wengen is a car free zone and the only way up is by the train from Lauterbrunnen. I flew from London to Basel and booked the train to take us from the airport via SBB (Swiss Trains) when you come out the airport its about a ten minute bus drive to the train station you have to get a ticket from the bus stop for about 6FF - but they never checked so you could jump on and nobody would notice. SBB Swiss travel very easy web site and the tickets give you exact information of what train and platform to be on - was very simple and always on time £60 rtn. I takes roughly 3 hrs to get to Wengen very scenic and relaxing journey. Most hotels provide a taxi to take to your destination in the village mainly electric vehicles. ski pass we bought in the shop but there are places online that give you 20% which we did not know about. 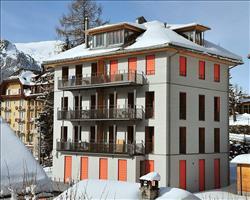 Ski hire is bit more expensive than French resorts but good quality. The weird thing about Wengen is that there are trains and train stations in the mountains and being to French resorts a lot of the time this was a novelty There are two ways up - the Train takes about 25 minutes from the main train station or the Manchillen cable car - which can get busy. Once you are up there the views are amazing. The snow was fantastic ( March 2016 ) powder most days. The runs are for everyone and the lift system is good lots of covered chairlifts. The Eiger was amazing to see and to ski under it in powder was amazing too. For the Non Skiers they have so many walking paths marked off in purple and the amount of sledges that were available there for hire was incredible. There was a lot of tourists mainly to visit the Highest point in Europe Jungfrajoch - its a winter/summer playground with the highest mountain railway in Europe. A cost of 120 FF for non ski pass holders is a lot of money and for ski pass holders it was 60 FF. 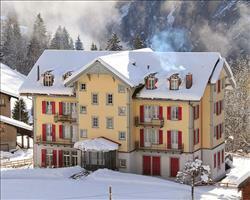 Plenty of mountain resorts are dotted around. You can ski all the way down to Grund there is a nice blue run not too flat and quite quick where you can get a train all the way back up to the main Kleine Sheidegg nice if you want to have a sarnie or a rest on the train, takes 25 mins. This is the way to Grindewald as you cant ski there directly - you have to ski to Grund area and get the Free bus which takes about 20 mins and then you are in the centre where you can get the main cable car up - same for the way back. Up here is a lot to do they have the Tissot Cliff Walk, not for the feint hearted. Skiing was good here too. In Wengen there is the famous world cup run, longest ski race in Europe and you can actually ski out the famous ski hut as this is usually open all the time and you can get your picture done. Its an amazing run with signposted names to tell you which part of the course you are on - how they do this in such a speed I do not know. At the finish line there is a podium where you can get your photos taken. You can also get a day to Murren - was another 40 FF this it has a famous revolving restaurant and was where a Bond film was made.This would be amazing on a clear day but was a trek as you had to get the train back down to Lautrabunnen 25mins and then a big lift up and then lots of other lifts across, maybe next time. The village itself has got an ice rink, curling and other events - lots of restaurants some pricey we found a cheap cafe style place and was great.There is a local CO-OP that sells everything for self catering etc. Situated in the Lauterbrunnen valley, in the Jungfrau this resort offers excellent views and a great train system taking you to Grindlewald and up the mountain etc. A long-time favourite of British skiers including me! Best suited to intermediates and beginners, there is also a fair amount of advanced terrain. It is not possible to ski back to Wengen from all parts of the ski area, so careful planning and keeping an eye on the time can be key. Nightlife is generally quite relaxed, the Blue Monkey is a bar with dancing area and pool table, your best bet for a big night. They put on a great fireworks display for New Year’s Eve. Go to the Hotel Romantik Schoenneg for dinner, Hubert Mayer the chef there is fantastic, he goes out into the forest to pick mushrooms in the autumn and herbs, really probably the best food I have had! I absolutely loved Wengen. It was perfect, we had awesome snow and had a fantastic time. I know that Switzerland is supposed to be an expensive resort, but you get what you pay for. The people were friendly too. I would say that the resort is best for beginner to intermediates… Not really for expert skiers. Extremely quiet, but it was the first week of the season. Wengen’s quite a sleepy village but it really is picture postcard beautiful. Certainly wouldn’t think twice about coming back! "Old Swiss town, good skiing, shame about weather"
We didn’t see much of the town as our hotel was all inclusive, but it has some nice shops and is a pretty place – very old fashioned Swiss town. The train is good and it’s well situated. We didn't have a particularly good week with the weather and lost a day and a half of skiing, one day we could only ski 1 run and the other was so windy it became a bit of a bore. Overall it was a good week of skiing, with some excellent off piste - the only downside is that the lifts aren’t very well linked.